Nine months of tying tourniquets and pushing new medications, of IVs, chest compressions, and defibrillator shocks-that was Kevin Grange's initiation into emergency medicine when, at age thirty-six, he enrolled in the 'Harvard of paramedic schools': UCLA's Daniel Freeman paramedic program, long considered one of the best and most intense paramedic training programs in the world. Few jobs can match the stress, trauma, and drama that a paramedic calls a typical day at the office, and few educational settings can match the pressure and competitiveness of paramedic school. Blending months of classroom instruction with ER rotations and a grueling field internship with the Los Angeles Fire Department, UCLA's paramedic program is like a mix of boot camp and med school. It would turn out to be the hardest thing Grange had ever done but also the most transformational and inspiring. 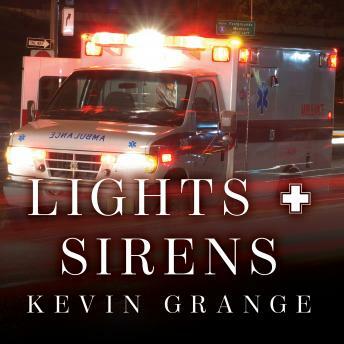 An in-depth look at the trials and tragedies that paramedic students experience daily, Lights and Sirens is ultimately about the best part of humanity-people working together to help save a human life.